Äijälä House next to Liuksiala Manor is a venue for showcasing Karelian and Karelian exile culture. Its collections have been compiled from donations. The museum is open on Sundays in July or by agreement. Äijälä House and its courtyard area can be rented for festive occasions. From 1910 to 1986, the Kangasala Rest Home was a boarding house, accommodating the most important cultural figures in the whole country. On display in the rooms are items that belonged to the guests as well as Jalmari Finne’s entire published production. The facilities of the rest home can be rented as a festive venue for various events and meetings, and you can book a guided tour of the premises. 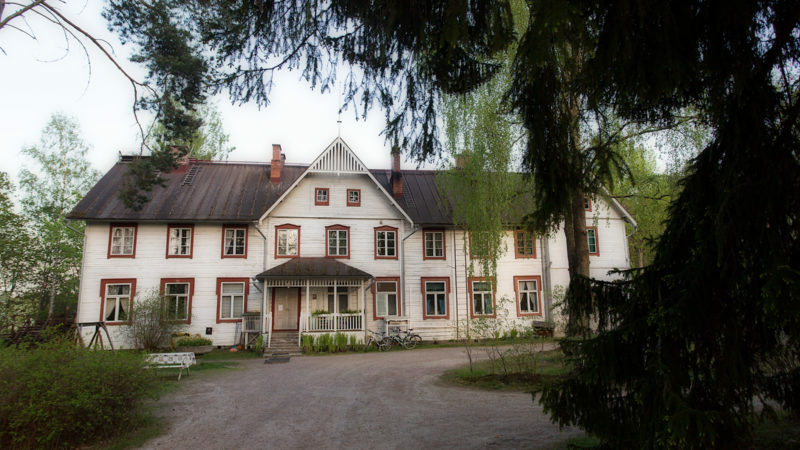 The house, which is used as a museum, hosts the sales exhibition of the Kangasalan Kädentaitajat handicraft association during the summer. Textiles made by artisans as well as metal, leather, glass, wood, clay and ceramic items are sold in the summer shop. Works by local artists are also on display. 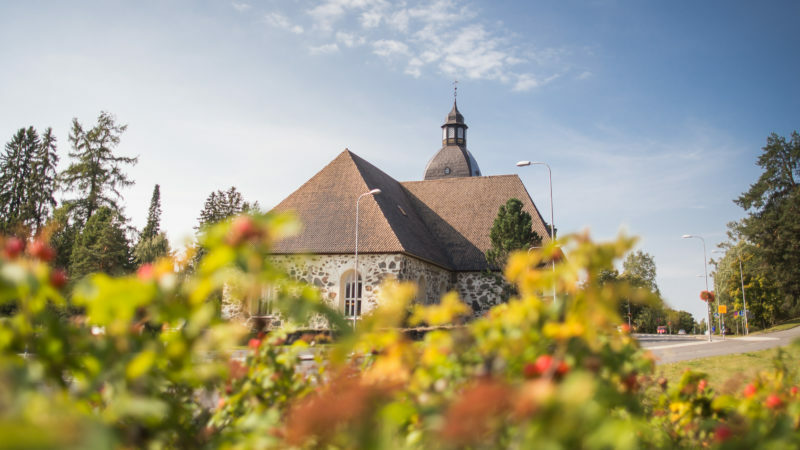 In the landscape of Kangasala, royal manor houses and large farms with their cultivated land tell the story of the growth of a wealthy parish from the 16th century to early 1900s. In addition to Liuksiala, Wääksy Manor has also been associated with the royal House of Vasa. In the 1560s, Wääksy was run by the former mistress of John III of Sweden, Karin Hansdotter. Today, the area is home to the Wääksyn Puutarha enterprise and a riding centre. To the north of the Kirkkoharju ridge, there is a cultivated plain enlivened by a parsonage, Sorola Manor, Tavela horse farm and the lands of Lihasula Manor, known for its Finnsheep. The walking tour in the Kangasala town centre includes some of Kangasala’s history and present day. Some parts of the tour are quite demanding. The climb from the rest home to Einar Ilmoni’s monument is fairly steep, as is the subsequent climb to the Kirkkoharju ridge. The descent from the Kirkkoharju tower to Kirkkoharju School, the climb up the Tapulinmäki hill and the climb from Terveyslähde to Kuohunharjuntie are also quite steep. The history tour allows you to explore some of Kangasala’s history. The Kangasala summer theatre is located on the shore of Lake Längelmävesi and features a roofed auditorium. The Mobilia signposts along the main roads will guide you there. A recently restored ancient trail runs to the ancient site between the Pohtiolampi riding field and the Osprey Centre. Along the trail, there is a reconstructed Stone Age stove, “the oldest kitchen in Finland”. Perhaps it has been used to cook fish that the numerous bodies of water in the area have provided – local food nonetheless! The Muinainen Sarsa – Ancient Kangasala tool allows those interested to take an online trip to ancient times. The Kangasala grey granite church, completed in 1767, invites you to attend roadside church in the summer. The coffered ceiling decorated with stars was restored in the latest renovation. The outer wall of the church has a blood stone that looks like it is leaking a red substance. It is said that a young nobleman had fallen for a common woman who was sentenced as a witch. The woman proclaimed her innocence, and as proof, her execution stone would always keep bleeding. The drops of blood in the Kangasala coat of arms symbolise this story.